At Kinstruct Health Chiropractic & Wellness, we offer high-tech COREscore™ assessment with our Insight Subluxation Station. This advanced chiropractic technology delivers a computerized image of the stress and tension to your nervous system. It is a great way to assess the pediatric spine and nervous system without the use of radiographs. Example of an EMG Scan, where Red shows severe tension followed by Blue and Green. Surface Electromyography measures the minute amounts of electrical energy in the muscles along your spine. 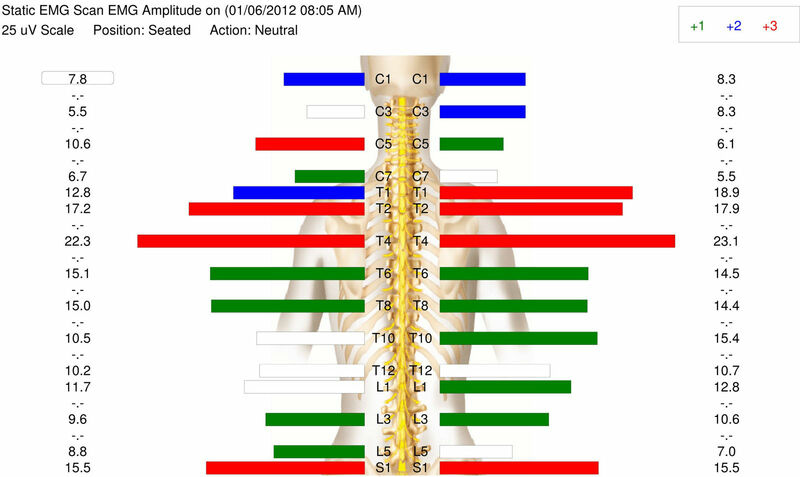 Spinal restrictions (Subluxations) disturb the function of the nervous system. This can produce too much or too little electrical activity in your muscles. We use this highly-accurate, non-invasive scan to document your progress. It’s more accurate than how you feel. While sitting quietly in a room with your hand on a platform-styled sensor, this technology accurately measures your heart rate over 5 minutes. This test is widely used by cardiologists, exercise physiologists, psychologists and medical researchers. Now chiropractors can use this technology to determine how chronic stress that has been accumulating over time is affecting your immune responsiveness, degree of fatigue, level of recovery, overall energy and general vitality. Essentially, we have tested your heart rate to see if your daily stress loads are affecting your ability to cope. 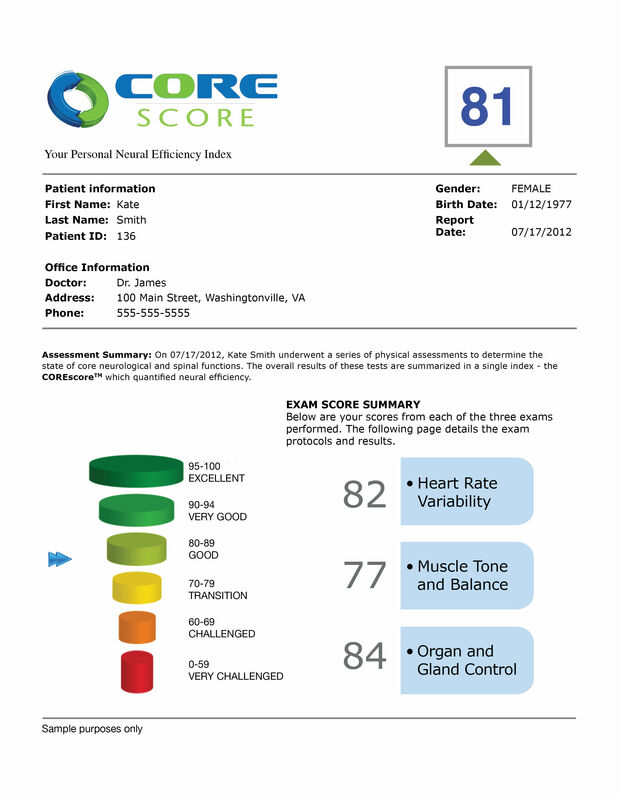 The data from these tests are put together and then complex calculations are made to create your Core Score™. Because your care is based on the condition of your nervous system, not how you feel, this technology is the focal point of our practice. 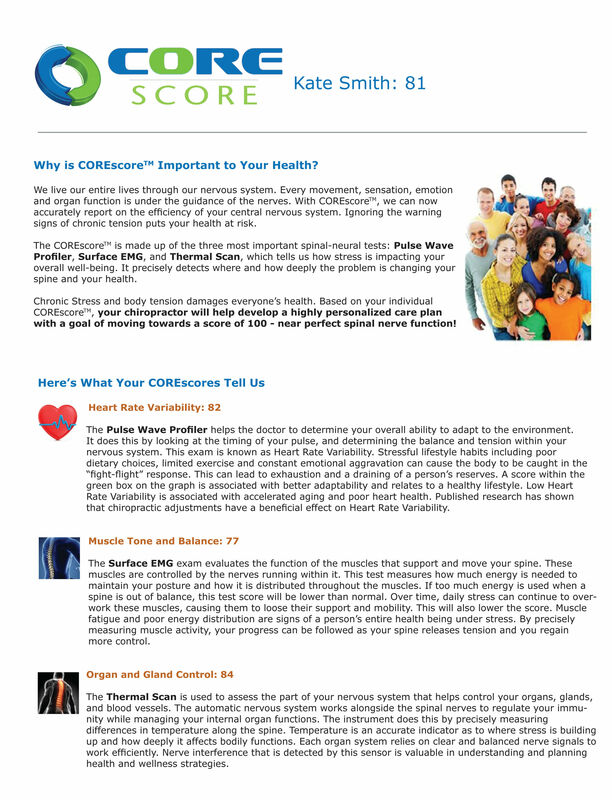 Your COREscore™ is based on a scale from 0 – 100. The higher the number, the better the communication along those important nerves. 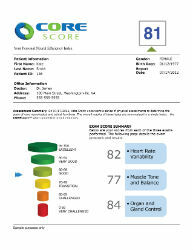 Your score will tell us how much interference is in your communication core and how we can begin to help you. Another benefit of the COREscore™ is that you can view your personal report on-line, anytime, anywhere through our new patient reporting web service. 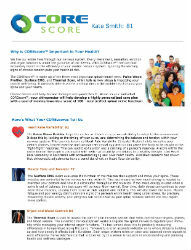 Ready to get your COREscore™? Contact us at Kinstruct Health Chiropractic & Wellness to make your appointment!